Bounty missions aren't unlocked for the start of Red Dead Redemption 2, but this guide will show you how to quickly make them available. Bounty missions can be an excellent source of money for Arthur Morgan in Red Dead Redemption 2, but they're not unlocked for at least the first few hours of the game. In our Red Dead Redemption 2 Bounties guide, we'll be detailing how to unlock Bounty missions in Red Dead Redemption 2 as soon as possible. If you instead need any other information on Rockstar’s huge new game, you’ll want to head over to our complete Red Dead Redemption 2 guides hub. It’s on this main page that you can find all the beginner’s tips and tricks you need to survive out in the wild west, as well as a complete list of all our additional guide pages on the game. Can Bounty Missions in Red Dead Redemption 2 be Replayed? Unfortunately, Bounties won’t be unlocked for at least the first 7-8 hours of Red Dead Redemption 2. You’ll know when Bounties are available to you when a Stranger quest marker appears in the sheriff’s office in the town of Valentine. Here's how to unlock Bounty Missions in Read Dead Redemption 2. 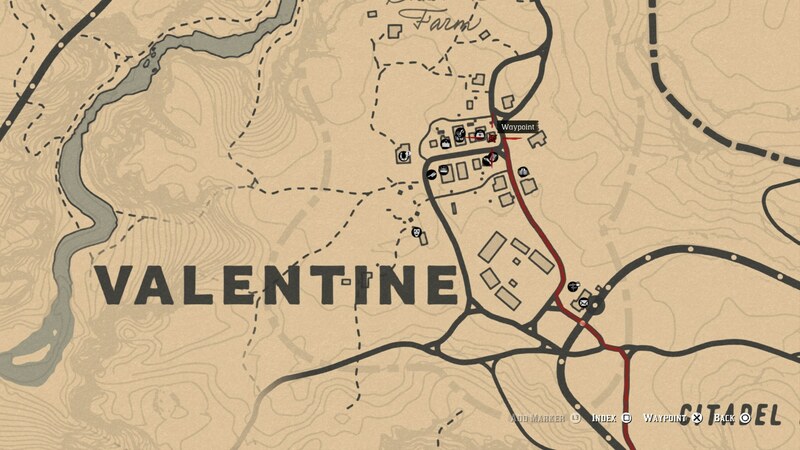 Head to the sheriff's office in Valentine, and you’ll be tasked to bring back a murderer alive. To find this person quickly, head north to the river from Valentine, and you’ll find the wanted man on a small path underneath an overhanging cliff, next to a campfire overlooking the river. Capture him alive by throwing your lasso at him, then pressing the right trigger repeatedly to draw your captive back to you. Dismount from your horse while still holding the lasso with the left trigger, and approach the captive, pressing Circle/B to hogie them. Now place the wanted man on the back of your horse, and deliver them to the sheriff’s office in Valentine. You’ll be paid a tidy sum of $50, and the side mission will be completed. From this point forward, you can undertake Bounty Missions in Red Dead Redemption 2. All you need to do to begin tracking a Bounty target is to find a wanted poster out in the open world. 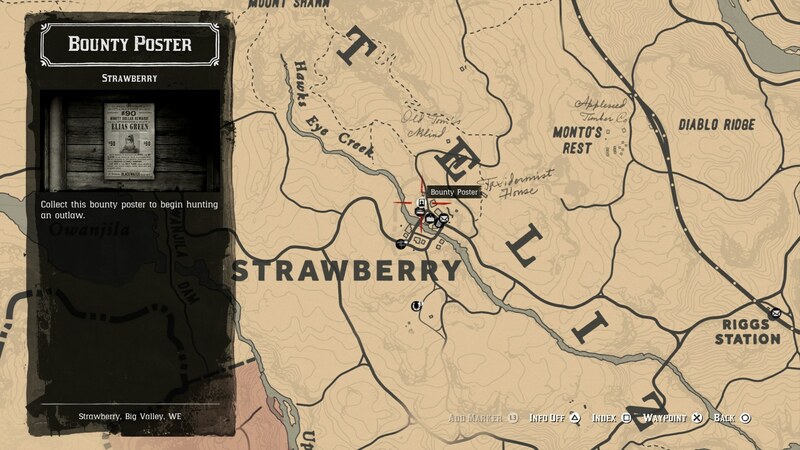 You can check the map to see if there are any available, and they’re always found in towns like Valentine or Strawberry. You’ll always have the option to bring in the Bounty target dead or alive. Although it’s a lot more work to track someone down and successfully bring them back alive, you’ll get a bigger cash reward if you can do this, and your Morale rating will also rise, making you a good cowboy. If you've accidentally shot dead a bounty target and missed out on the bonus for bringing the felon in alive, you might be wondering if by the magical powers of video games you can replay a Bounty mission. Sadly, you can't. Once a Bounty target has been killed, they are dead. We’re now at the end of our Red Dead Redemption 2 guide on how to track down and capture Bounty targets, but there’s plenty more to cover on the game yet. You can head over to our page on how to earn money quickly in Red Dead Redemption 2, or our guide on how to sell valuables in Red Dead Redemption 2, in case you happen across some rare items on your travels.